Do you want or need to sell your Business? Is it time to do more than just think about it? Identifying the costs that will normally be incurred throughout the process. Seeking the optimal value of your company, and the preferred terms and conditions of sale. Determining if this is actually the right time to be selling, and that there really is a commitment to selling at this time. Drawing a proper evaluation of the asking price, the confidential information memorandum and all the analytical and financial information that will be required by qualified buyers to evaluate your opportunity. Identifying strategic buyers not only in North America but from around the world. Outlining what will be expected of you proactively to help ensure a successful sale. Maintaining a professional atmosphere and an environment of confidentiality throughout the process. And finally, giving you an honest opinion as to how long the sale process might take and how long management might have to stay on after acquisition. Are you engaged in a buyer search project? Has the time come when you wish to do more than just think about conducting a search for an acquisition? Then Mercantile Mergers & Acquisitions Corporation can help you in looking for potential acquisitions. Mercantile conducts very organized and focused acquisition search programmes for clients. By conducting a proper and focused search program we increase the number of credible business opportunities that are generated, as prospective target companies will generally only speak with professionals like Mercantile. Our bywords on every project are integrity, professionalism, and confidentiality, thus giving comfort to both the buyer and the prospective sellers. All searches are conducted with the utmost discretion due to the sensitive nature of the work. Finding a good acquisition prospect takes time; however the keys to success are always good research and lots of hard work. Due to their expertise in these areas, Mercantile Mercantile has developed a reputation of generating excellent prospect lists for our clients. Have you been presented with a Management buyout opportunity? Has senior management been presented a buyout opportunity to acquire a large part or all of the company at which you are currently employed? Is it an opportunity with a time critical decision requirements? Mercantile Mergers & Acquisitions Corporation can offer help in the following areas, and with all other issues that may crop up during the buy-out process. Formulating agreements within in the management team as to job functions, remuneration, responsibilities, and other operational concerns. Guiding the appointment of professional advisers, legal council, accountants and auditors. Assisting in getting the formal approval from owners for management to purser the buyout opportunity. Evaluating the seller's asking price; and the negotiation of purchase of the business. Formulating a comprehensive business plan, and corporate structure. Co-ordinating the due diligence process. Help in obtaining finance and/or other equity investment that may be required. Monitoring the preparation of legal documents; to ensure legal ownership achieved. 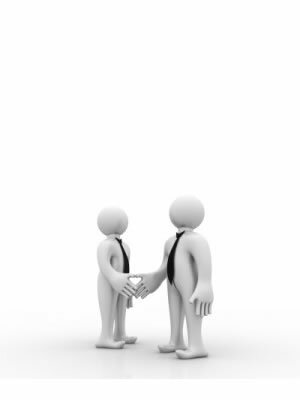 Mercantile Mergers & Acquisitions Corporation has helped many managers in conducting successful Buyouts. Your email address will never be shared with anyone else. Ever!